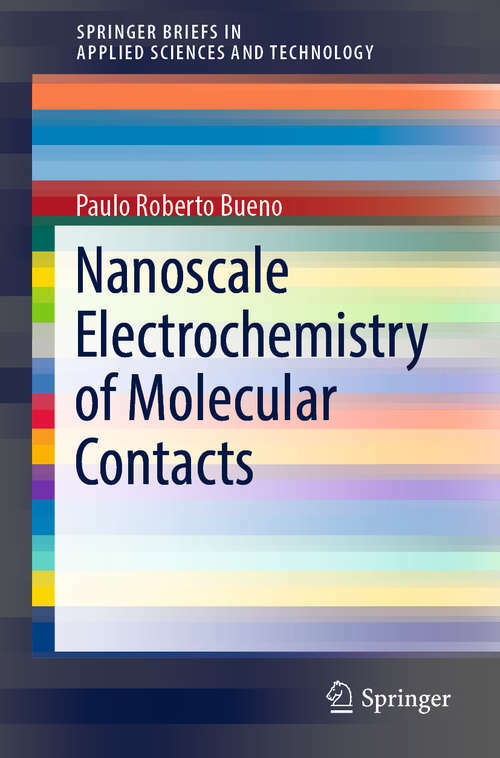 This book discusses the merging of nanoscale electronics and electrochemistry and how this can potentially modernize the way electronic devices are currently engineered or constructed. It introduces the electrochemical capacitance as a fundamental missing concept that solves the puzzle between molecular electronics and electrochemistry at the nanoscale. The electrochemical capacitance, as a fundamental principle, is deduced from first principles quantum mechanics. The text also confirmed that faradaic and non-faradaic processes are only different physical approximations of the same sort of energetic phenomenon.The book comprises three chapters. Chapter one introduces the concepts of chemical capacitance, relaxation resistance, and the quantum resistive-capacitive circuit and demonstrates how these elements are translated to the electrochemistry context. In chapter two, the chemical capacitance, the fundamental concept and missing part of the puzzle that unity electronics and electrochemistry, is deduced from first principles of quantum mechanics. In chapter three, the concepts are practically used in different contexts that include molecular diagnostics, molecular conductance and super-capacitive phenomena is explained using the introduced basic principles.